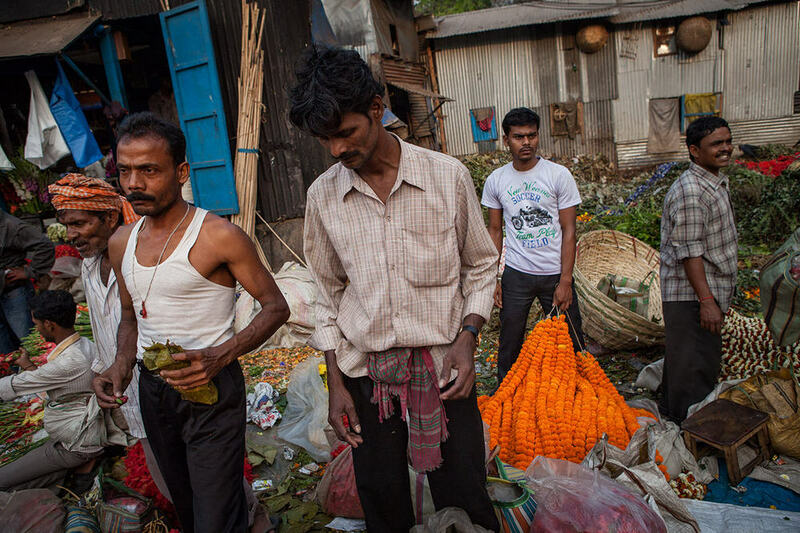 Under the imposing Howrah Bridge there is one of the largest flower markets of India. 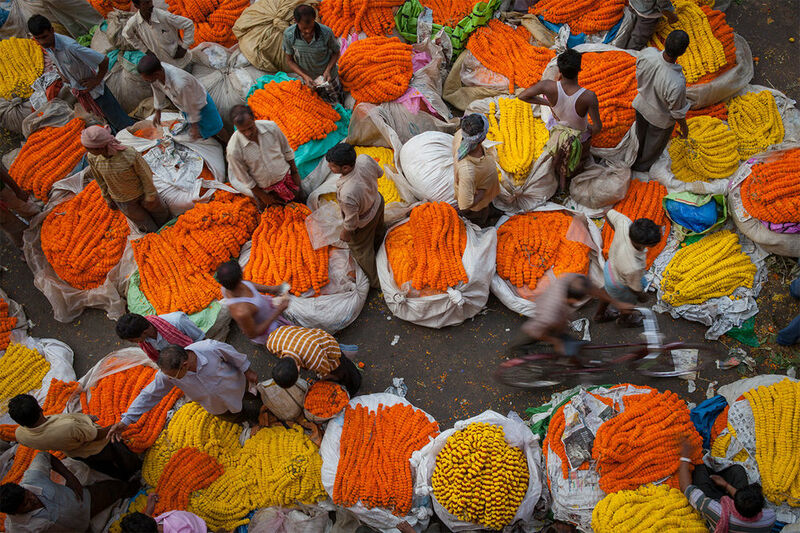 Here every morning tons of flowers of all kinds are cut, processed and sold: from roses, chrysanthemums to orchids. 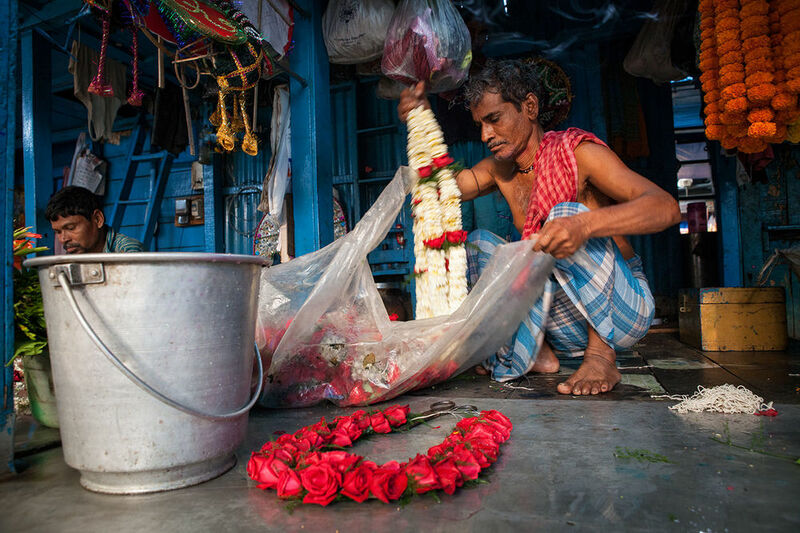 Offering flowers to the gods is one of the main aspects of the Hindu puja (act of worship).